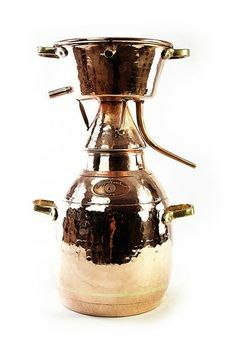 This uncomplicated still with the top-mounted condenser is suitable for all pomace and fruit brandy, especially when the aroma is important. 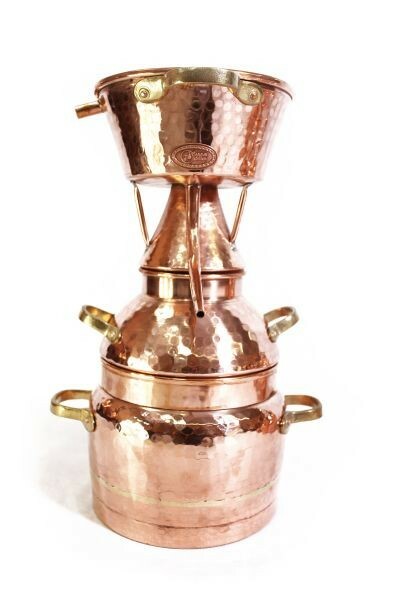 This still which is based on an antique model (Leonardo da Vinci worked according to the same precept), consists of a riveted and organically sealed boiler with about 10 liters capacity, and a top-mounted condenser. 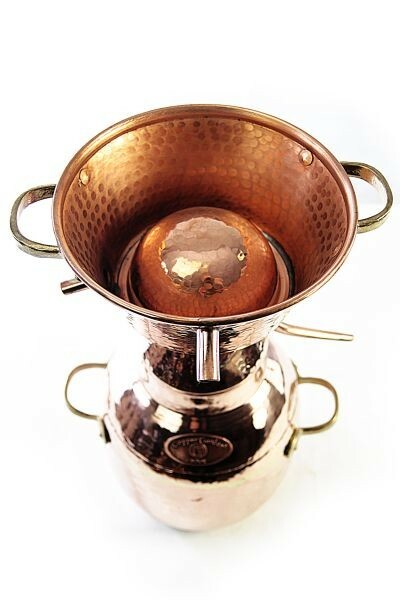 Distillation is still done using this well-functioning method in Portugal, Italy and southern Spain. 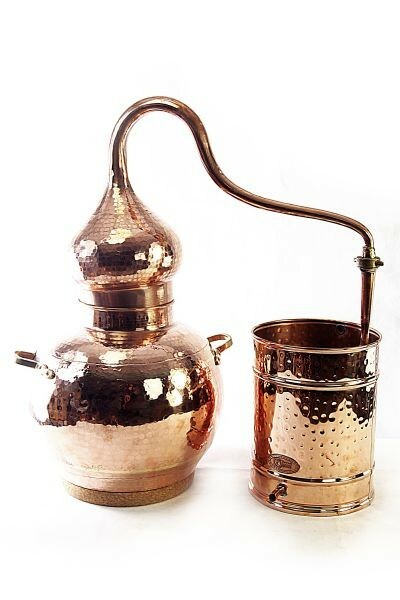 After evaporation the distillate cools very quickly on the top-mounted condenser, therefore in alcohol distillation a very strongly flavored result can be obtained. 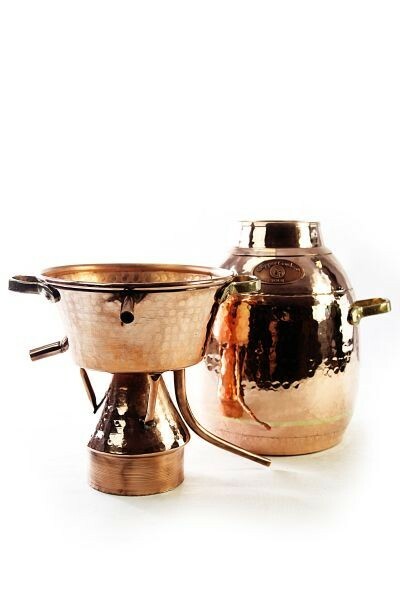 The alquitara still is made completely out of copper and is naturally also an excellent decorative item for every display window, laboratory, pharmacy, bar, etc. 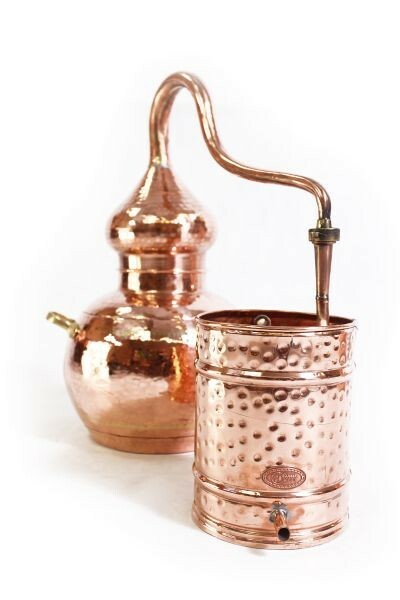 Of course, this still is also for proper distillation. 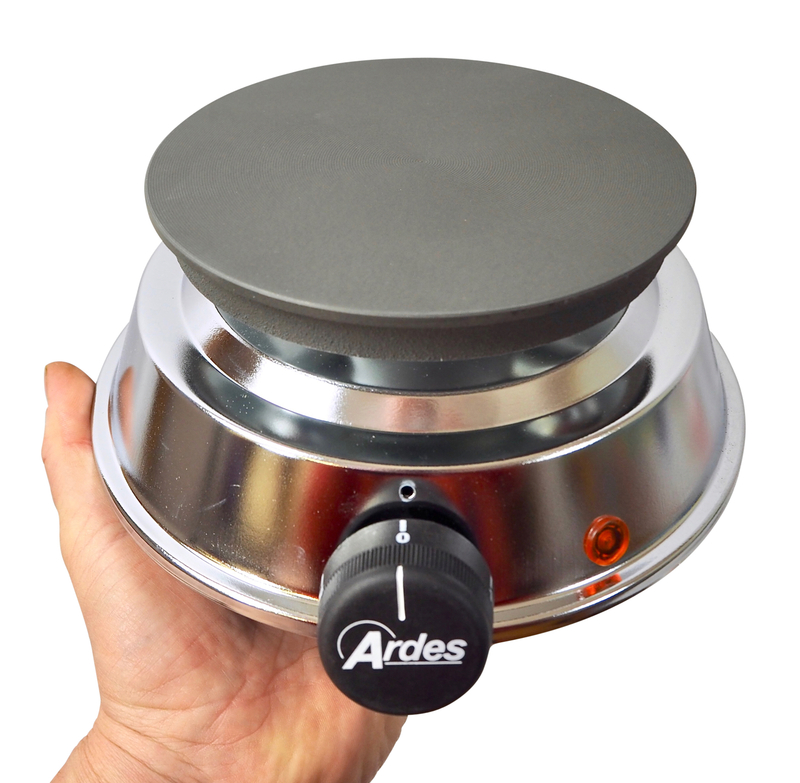 Because of the space-saving type of construction and the flattened bottom, it can also be used on all normal kitchen stoves.